For nearly thirty years, Quincy Conference was an anticipated event for educators in the West Central Illinois region and beyond. Each year, thousands of educators attended Quincy Conference to engage in professional learning and to collaborate with fellow educators. 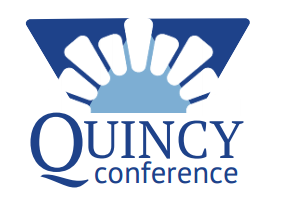 In 2015, Quincy Conference was revitalized after a fourteen year hiatus, through the combined effort of the Adams County Academic Success Initiative (ACASI), Regional Office of Education 1 (ROE 1), and Quincy Public Schools (QPS).The revival of the conference would not have been possible without the generous support of local sponsors and our amazing conference attendees and presenters.